We're looking for a talented designer to work with us long term to build our brand identity and graphics. Our current graphic designer is leaving hence we need a brand new talented one with bright ideas and a refreshing look at our company. 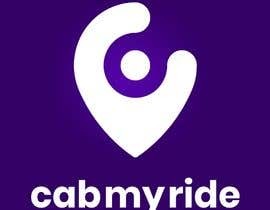 We're a transport service in the UK competing with companies like Uber, Lyft and Ola in the rideshare industry, we're quick, fast and creative thinkers. We get people fast, affordable rides at a tap of a button on our app our via a phone call. It will be your job to create an impressive brand identity package which we can use and then provide the winner with all our work for the business, we're looking for someone who's going to stick around for a while. We already have our colours, tag line and app done, so you have the creative freedom to give us an identity people will be excited to interact with. We're looking for you to design graphics for our marketing. We like the design that facebook uses to show it's people I've attached some examples look at these links and the files uploaded. DO NOT COPY THESE, THEY ARE JUST FOR GUIDANCE. DO NOT MODIFY THE LOGO OR ANY OF OUR ASSETS. We expect to have business branding identity done for our contest. The best visual identity will be the winner, this needs to work on print and digital, be appealing to customers on flyers, business cards, brochures, facebook ads ect.